Get GST-Ready with ESDS' Special Edition Cloud for the Age of Data Explosion! ESDS’ Special Edition Cloud for the Age of Data Explosion! With the GST Revolution taking the nation by storm, your business needs to be harnessed with the right infrastructure to establish GST. Infrastructure is the fundamental pillar of your ERP, SAP, SAP HANA and other mission-critical applications used for Accounting and Taxation. In fact, GSPs, ASPs and Tax Payers can trigger success of Project GST if the infrastructure is tailor-made to your business-specific GST needs. Exclusively with ESDS, Get ESDS’ GST-Special Edition Public Cloud for a smooth transitioning to GST. What is ESDS’ GST-Special Edition Cloud? To address the ambiguities and roadblocks in planning, integrating and managing your GST, ESDS has launched a GST-Special Edition Cloud. This is special purpose vehicle to smoothen your GST Transitioning Journey. The unique solution provisions your enterprise with an Enterprise Grade Public Cloud backed by GST crew (Dedicated GST Infra Consultants, Dedicated GST Infrastructure Implementers, and Exuberant GST Infra Support Technicians) to help you address the IT Infrastructure challenges in an effective manner. Basically, the Special Feature is meant to extend technology hand-holding to enterprises throughout GST journey. Although Cloud Solution makes GST transitioning hassle-free, the real problem arises when there is resource crunch during peaking or cascading situations & there is no way you can afford to lose a single minute during critical business transactions. As GST workloads are unpredictable, ASPs need to choose a smart Cloud Solution. 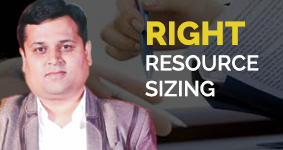 ESDS’ eNlight Cloud is an Intelligent & World’s 1st Vertically & Horizontally Auto Scalable Cloud which predicts the upcoming resource requirements and enables you to scale up GST resources when the demand surges & scale down when the demand diminishes. Run GST operations with zero downtime with real-time scale and optimize investments by eliminating over-sizing or under-sizing with dynamic scale. Within the newly launched fully automated GST environments, there are quantum of transactions expected to happen at any minute of the day. As GST is a whole new ball game, the infrastructure demands are unforeseen as well as fluctuating. The biggest roadblock especially for GSPs, ASPs and Tax Payers is unpredictability of compute resources required in the GST Infrastructure. With ESDS’ Special Feature, get Expert Technology Consultation & Infrastructure Predictability. ESDS’ GST Infra Consultants help you analyze the real GST Infra needs of your business and thoughtfully Right-Size your cloud infrastructure. The GST Solution is uniquely and accurately architected to optimize resource investments, thus eliminating dead investments. While transitioning to GST, a lot of sensitive data is at stake. GST integration demands a highly secure environment for protection and privacy of financial and other critical data being transitioned. It is the Cloud Infrastructure that must be capable of building a secure space for hosting GST workloads. Get Uptime Tier III Certified GST Compliant Cloud Infrastructure for your mission-sensitive data. eNlight Cloud is built with 7 layers of robust architecture to maintain data privacy at all levels of OS, Database, Software, etc. Enterprise-Grade Physical, Application, Network Security help you connect to the APIs without any losses/leakages. In case of On-Premise Infrastructure, investments are invariably high. 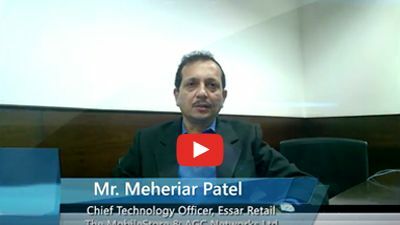 Thankfully, Cloud offers ASPs the Scale & much-needed OPEX model especially in the GST Scenario. 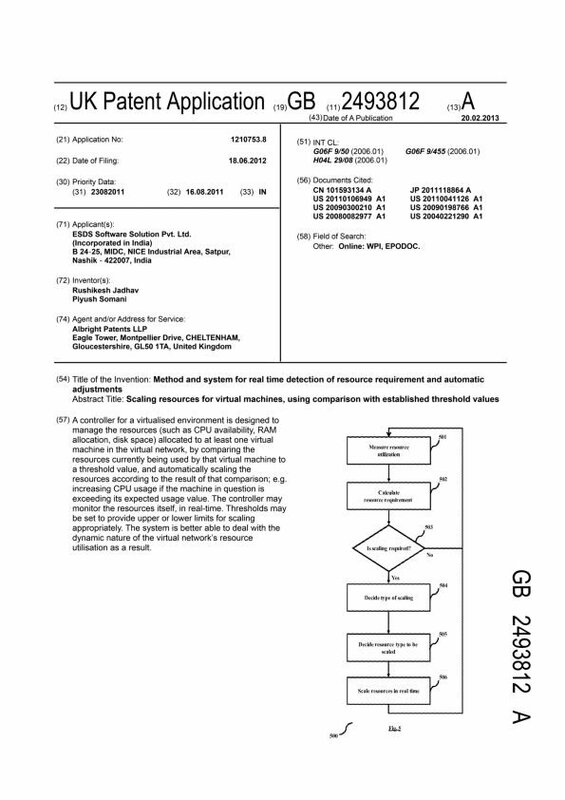 However, the problem arises when ASPs are put on “Fixed Costs” model practiced by most of the Cloud Infrastructure Providers. Due to this, ASPs are forced to pay for unused resources also, leading to dead investments. Cloud is the right choice if ASPs can get rid of “Fixed Costs” Structure. ESDS puts you on a “Dynamic Costs” Structure with the help of its unique “Pay-Per-Consume” billing model which slashes up to 70% of your computing costs. This is possible because you need to pay only for the GST resources consumed in real time. Predicting GST workloads can be tricky, thus the PPC model comes across as a blessing for ASPs. Run easy without fearing about GST Implementation deadlines. ESDS’ Expert Implementation Team make a GST Cloud Go-Live possible in less than 10 mins. Eliminate the hassles of On-Premise Infrastructure where procurement of Hardware, OS, Back Ups, Licenses, Supporting Software is a tedious and time-consuming process of months. GSPs, ASPs, Tax Payers can establish on ESDS’ GST Special Edition Public Cloud which is ERP-Ready. eNlight Cloud works wonderfully for all types of platforms and applications which could be SAP HANA, Tally, SAP, Oracle, Ramco ERP, Microsoft ERP, etc. Along with eNlight Cloud, your business gets the advantage of personalized Exuberant Support where ESDS’ experts give you the technical handholding during and beyond your GST Journey. With ESDS’ GST Special Edition Cloud, Create a right-sized yet dynamic IT ecosystem which enables ASPs to upload quantum data seamlessly. With real-time scaling capabilities of eNlight, empower taxpayers to get enriched access to G2B portals with High Availability even during traffic spikes. 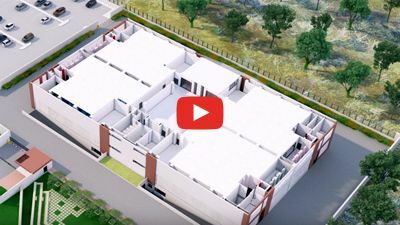 Get GST Compliant Cloud in Uptime Tier III Institute Certified Datacenter and let ASPs and Taxpayers interact with your GST systems in a highly secure environment. 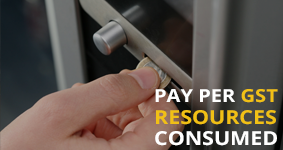 Pay-as-you-go with eNlight’s dynamic Pay-Per-Consume billing model and save 70% of Cloud Computing Costs. Establish eNlight Cloud Infrastructure for your GST in 24 Hours. With ESDS’ GST Special Edition Cloud, eliminate unpredictability of resource requirements. ESDS’ GST Consultants help ASPs analyze the actual GST needs and recommend resource planning and infrastructure sizing. With eNlight’s vertical and horizontal auto scaling capabilities, set thresholds and operate in min-max environment as per real time needs. Launch GST for Linux/Windows/other OS based applications on eNlight’s agile and supportive infrastructure. Introduce highly secure interactions between Taxpayers and GSPs while you are on eNlight Cloud’s 7 layered security architecture. Pay-as-you-go with eNlight’s dynamic Pay-Per-Consume billing model and save 70% of Cloud Computing Costs. Get End-to-End Consultation to establish your application on eNlight Cloud. Get support for all types of Oss, platforms, databases on which your accounting/taxation/other applications have been founded.. 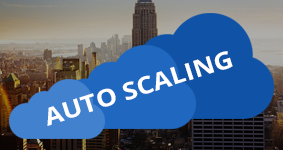 Enjoy eNlight’s exclusive auto scaling feature which scales resources up or down based on actual demand & eliminate the need to over-size infrastructure. Also, pay only for the GST resources used in real time. Synchronize with the GSTN system securely and seamlessly while ESDS puts you in a Uptime Certified Tier III Datacenter. Get enriched with Exuberant Support Services. There would no manual filing of returns. All taxes can also be paid online. GSPs, ASPs, taxpayers would need to establish a stable infrastructure to host their GST-evolved applications. How do I select the best approach for GST Implementation for my type of business? 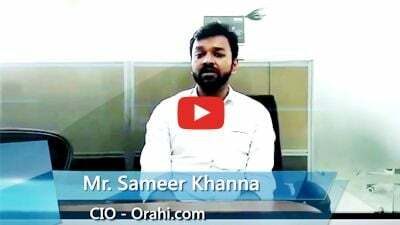 Cloud Solution is best suited for any type of business – be it small or large enterprise because of its agility and OPEX model. Does eNlight support SAP S/4 HANA workloads? ESDS has achieved magnificent success in SAP S/4 HANA Infrastructure Implementation. 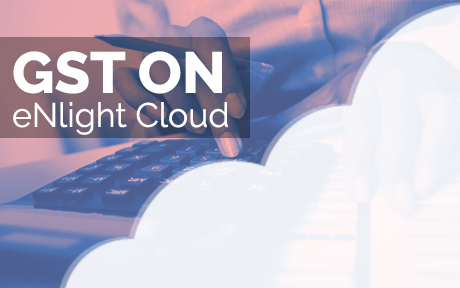 eNlight is an ERP-ready cloud where you can offload mission-critical workloads of SAP S/4 HANA. How can I implement GST without disturbing my Production/QA/Dev Environments? On eNlight Cloud, you can create a demo environment to Integrate GST modules, Run and Test them, Analyze and Measure Effectiveness of the modules without disturbing the Production/QA/Dev Environments. How do I predict infrastructure requirements, since GST workloads are unforeseen? ESDS’ GST Consultants with technology expertise and more than a decade of experience in Cloud Infrastructure Sizing help you estimate near-accurate GST resource requirements for your type of business. What if GST workloads increase or decrease unexpectedly? 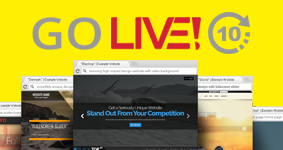 Scale GST resources on-the-fly. eNlight Cloud predicts upcoming workloads & auto scales GST resources up or down based on actual need. 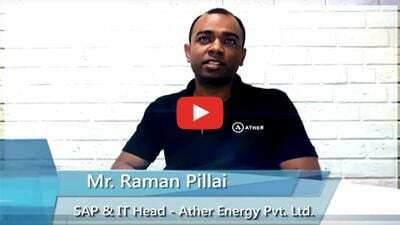 How do I further reduce OPEX for GST Implementation? Moving on Cloud puts you on an OPEX model. Moving on eNlight Cloud further reduces the OPEX as low as 70% as you pay only for GST resources used in real-time. Will my taxation data be secure on Cloud while transitioning to GST? ESDS’ eNlight Cloud is architected on 7 robust layers of security infrastructure. 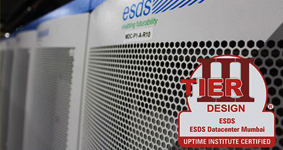 ESDS’ Datacenter is Uptime Tier III Certified Datacenter with Industry-best standards of ISO, CMMi, PCI-DSS as well as GST-Compliant. 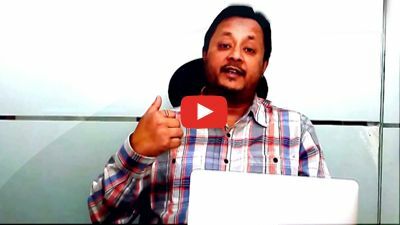 What is the fastest approach to GST Implementation? On-Premise Infrastructure consumes a minimum of 1 month. GST on eNlight Cloud is established within 10 mins.